The once-quiet village where people stopped to buy folk art before reaching Delphi, is today often referred to by Greeks as the 'Winter Mykonos'. 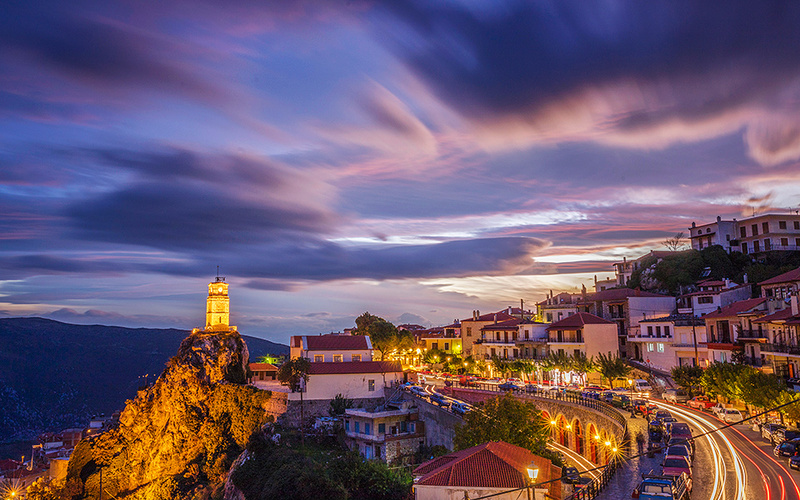 Nestled on Mt Parnassos, Arachova is a town that has been transformed into a popular destination for those seeking winter sports and relaxation. It sits at an altitude of 973 meters and thanks to its proximity to Athens, the winter months see it buzzing on weekends with city slickers escaping the rat race for a break in the refreshing mountain air. Follow in their footsteps and find out why this place is so adored. The village’s lively tavernas, bars and restaurants are home to endless entertainment – expect to see patrons dancing on the tables and urging you along to join in. 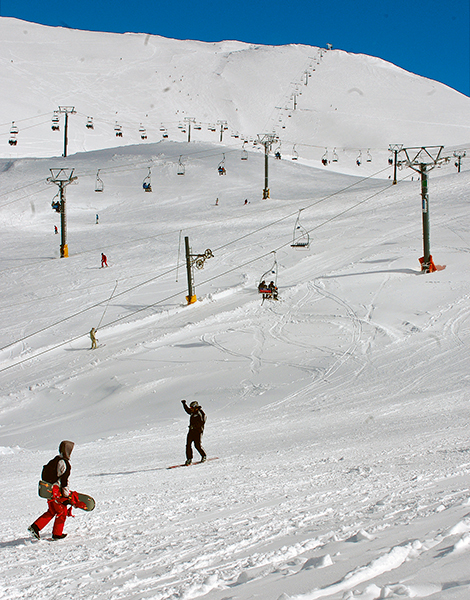 But there’s more to Arachova than endless fun on weekends and during the holidays. 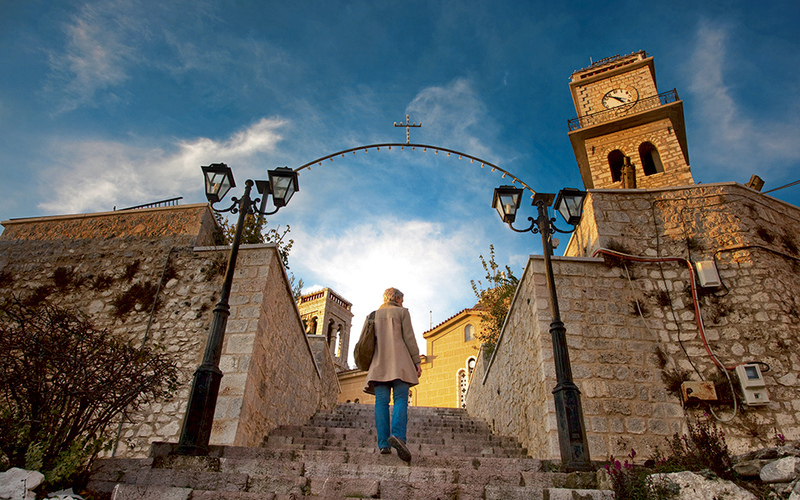 The rest of the year, when out of the spotlight of visitors, Arachova exudes a cosmopolitan charm. Last year, several new eateries opened, offering even more options to enjoy the local cuisine. One of these is Panagiota Plus, with sophisticated offerings. For shopping, several new stores have also opened, such as the L’Escalier concept store with design items and jewelry, 2803 Ave Loft for clothing or Local Bear for handmade leather bags. The shops arranged along the main road and the crisp mountain air make window shopping a refreshing experience. 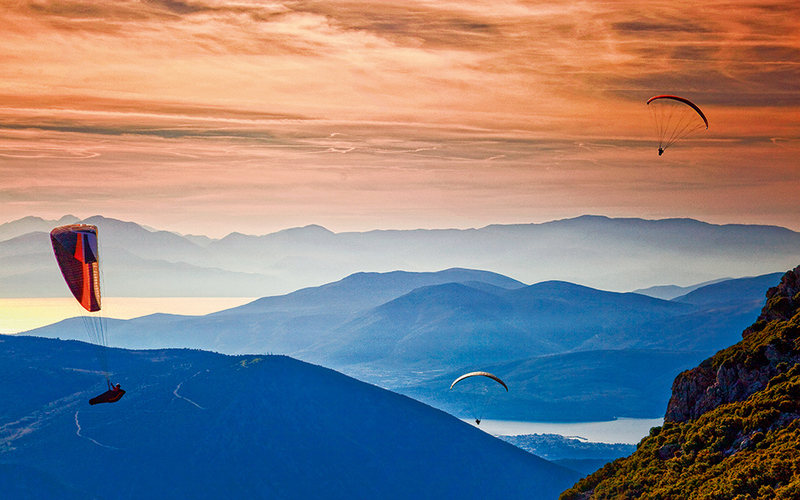 Weather permitting, paragliding is the most extreme way of taking on Mt Parnassos. . The launch point is a flat area near Livadi, from which you can glide over Delphi in about 20 minutes, or take a longer flight over the Corinthian Gulf. Many young people have returned to Arachova since the tourism boom, and they keep local traditions going with great enthusiasm. One of the highlights is the Ai Giorgis (St George) Festival, which takes place in spring. People wear their traditional costumes which include clogs and necklaces, and follow a procession behind the icon of their patron saint to kickstart a three-day celebration to the beat of daouli drums and the tunes of pipiza flutes. The event is a magnet for visitors from the wider region. The church named after the saint lies at the top of 264 steps, but it’s worth the climb. If you don’t feel up for the hike, explore instead the warren of streets and drop by one of the traditional houses open to visitors, which has been decorated with Arachovite woven textiles. The town’s Ethnographic Museum offers weaving and goldwork embroidery lessons to keep the local textile traditions alive. No mountain town would be complete without something strong to down on cold nights, so enjoy the ritual of seeing local tsipouro being distilled in huge vats. Later, you can buy some of the pomace brandy from independent producers. 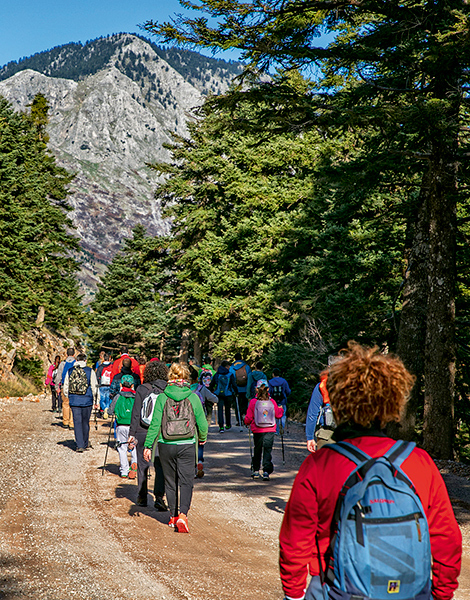 Hiking in the mountains around Arachova is an experience not to be missed by those who love putting on their walking boots and heading out to lose themselves in nature. A 3.5km uphill hike from Arachova brings you to the Corycian Cave, which the ancients dedicated the cave to the god Pan and the nymph Corycia. A section of the European E4 trail runs from the cave to the archaeological site of Delphi, and is one of the most beautiful hiking paths. The landscape around Delphi and the view towards the Crissaean Gulf and beyond to the mountain peaks of the Peloponnese is breathtaking. The Athena Pronaia Sanctuary (380 BC) in Delphi. The archaeological site of Delphi lies just 8km from Arachova, distance which you can either drive or hike – part of the European E4 trail lies along the way. However you choose to get there, you will be richly rewarded with beautiful nature on the way. 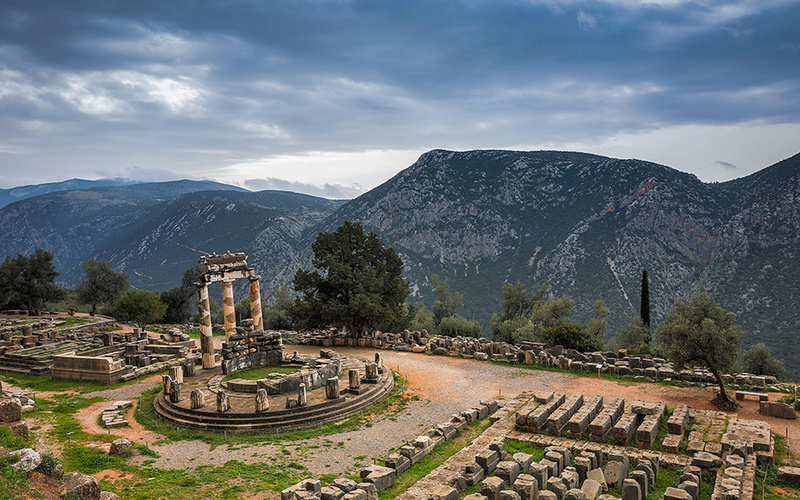 Delphi is home to a quiet spirituality that has endured through the millennia and is tangible – the air seems to hum with a unique energy. Stop at the Castalian Spring, the traditional source of inspiration for the ancients, before heading to Delphi itself. Visit Delphi Archaeological Museum, which houses a large number of important artifacts, including the Siphnian Treasury (525 BC), the kouroi and korai, the exquisite statue of the Charioteer (478 or 474 BC), figurines and fine items made from gold, silver and ivory. Autumn and spring are the best times of the year to visit as the archaeological site remains relatively free of crowds compared to summer, and you can explore the nature and outdoor temples to your heart’s delight without the energy-sapping sun beating down on you. Before leaving, visit the new Frynihos Theater, which hosts the Delphi Festival each summer, and the exhibition area of the European Cultural Center of Delphi, which periodically stages shows and conferences. The mountainous village Arachova sits at the foot of Mt Parnassos in mainland Greece. To drive there, take the Athens-Thessaloniki national highway and, when at the Thebes or Kastro intersection, continue along the country road headed for Arachova and Delphi. The journey takes 2-2½ to cover, while fuel and road toll costs, return, amount to roughly €50.